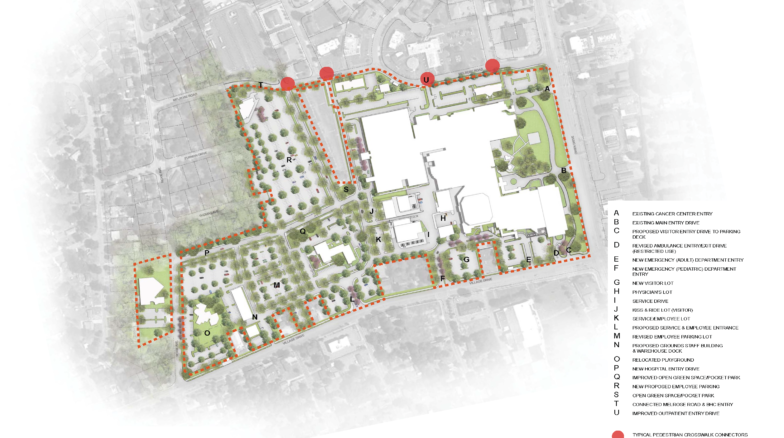 The goal of this 80-acre master plan was to organize access, circulation, parking, and safety as the Cape Fear Valley Health System grows, focusing on improving the user experience from the campus edge to the building entrance. 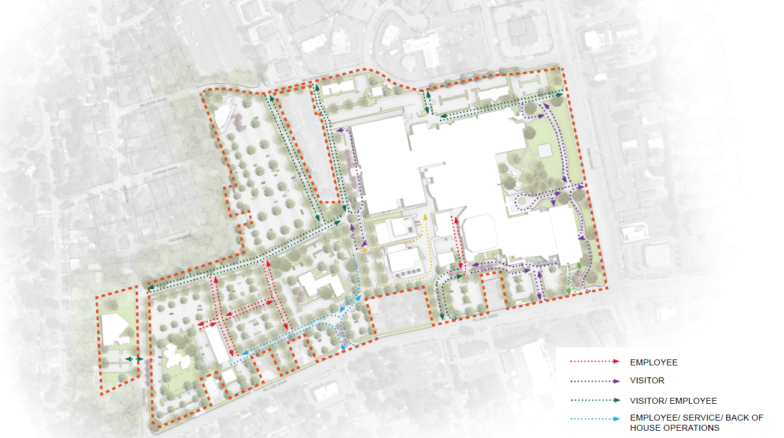 We worked with major stakeholders to assess concerns and integrate future campus renovations and expansions into this comprehensive master plan. Surface 678 assisted in helping identify separate user groups, and discovering ways to enhance their respective experience on the campus. The design integrates entry access and vehicular circulation with aesthetic design as users enter the campus and are guided to parking areas, keeping vehicular access to the perimeter of campus. 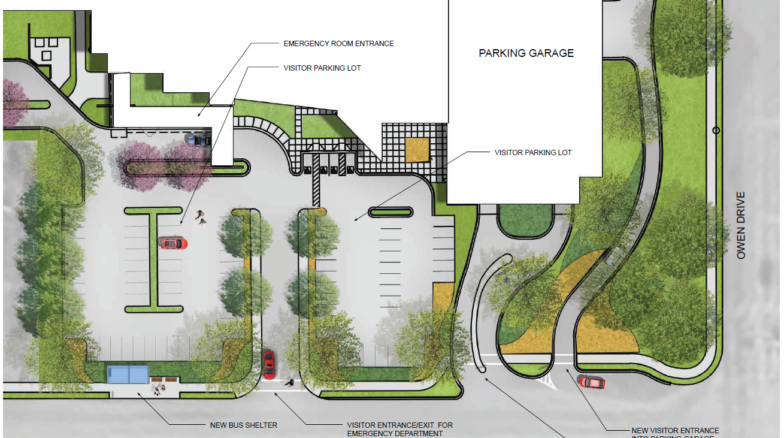 Visitor access to the existing parking deck is also separated from ambulance access, improving vehicular safety at the entrances of the campus. 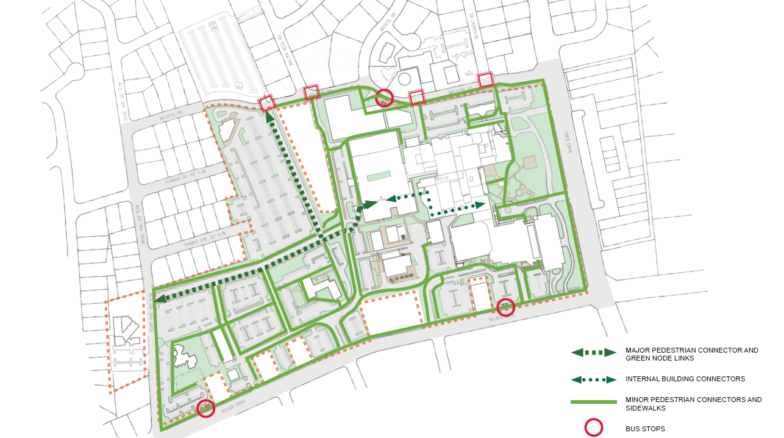 Pedestrian circulation was planned to connect the edges of campus and the parking zones to the core of the hospital. 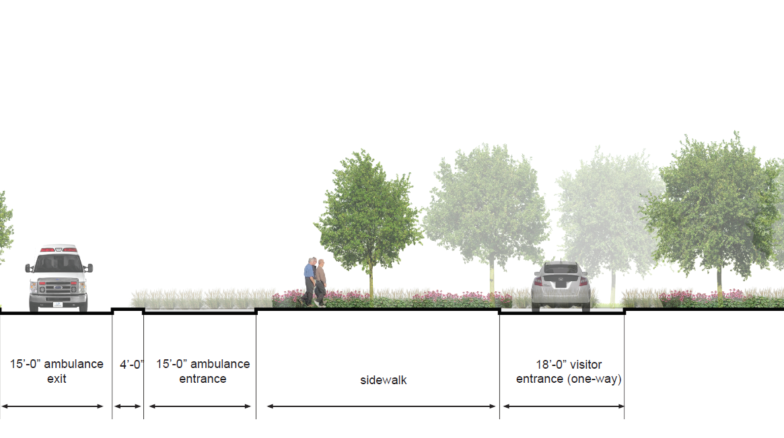 The pedestrian circulation design features a proposed greenway spine and green space connections to improve pedestrian safety and the visitor experience.